Migraine symptoms vary and can include throbbing, pulsating pain, light sensitivity, sound sensitivity, nausea, pain on a specific side, blurred vision and vomiting. It is the sixth most disabling illness and is estimated to account for at least one missed work day every three months for 31% of migraine sufferers. Knowing which migraine treatment is right for you can be hard, especially when looking at all of the options available on the market. This Gelstat Migraine review is going to take a closer look at the facts and details to learn more about how this migraine treatment works and to see if it’s worth trying out for real migraine relief. 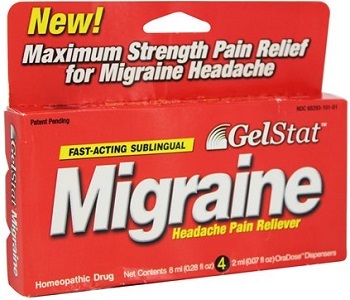 The manufacturer claims that Gelstat Migraine will offer migraine relief within minutes and without any significant side effects. They claim to use an innovative sublingual delivery system for rapid absorption of the all-natural ingredients for rapid relief of migraine pain. Feverfew is a perennial plant that is believed to have the ability to relieve migraines. Studies have shown that participants who took feverfew saw a decrease in the amount of migraines they were experiencing. Ginger is believed to treat migraines by blocking prostaglandins which stimulate muscle contractions, control inflammation, and impact hormones. Studies have demonstrates that participants who took Ascorbic acid experienced fewer migraines. There have been studies done that show that a side of Glycerin can be migraines. The manufacturer packages the proper dosages in already measured prepackaged dispensers. Upon feeling the onset of a headache dispense the entire contents of one dispenser under your tongue and hold in place for a minute before swallowing. Repeat this process five minutes later with a second dispenser. You can take an additional serving a half an hour after if you feel you need it. Talk to your doctor before taking Gelstat if you are pregnant, nursing or have a known medical condition. We were unable to find any associated side effects with Gelstat Migraine. You can purchase Gelstat directly from the manufacturer and from third-party retailers. One box which has enough product to treat two migraines costs $49.95. They offer two bulk purchasing packages. You have the option to purchase a package six boxes that will treat twelve migraines for $29.85 or a package of 24 boxes that will treat 48 migraines for $84.99. The manufacturer offers a money-back guarantee without a time limitation. While we generally find that most products will have mixed feedback, as every person can experience different results from taking a supplement, we found the vast majority of consumer feedback to be negative. Consumers criticized the expensive price for the mediocre product. Most users reported that this product did nothing to relieve their migraines and does not work. Gelstat Migraine appears to be a decent migraine treatment. It is made from a variety of ingredients that have been shown to have the ability to relieve migraines and it comes in prepackaged dispensers for convenience. 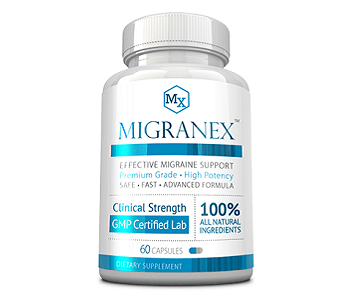 However, while the prepackaged dispensers seem to be convenient, it means that this product is sold according to how many migraines it can treat and not per capsule. The price per treatment is exorbitantly high. A package containing treatment for only two migraines costs $49.95!! Furthermore, the consumer feedback is not encouraging and does not evoke confidence in this product. You are better off choosing a migraine treatment that is affordably priced and one that has been shown to have effective results.